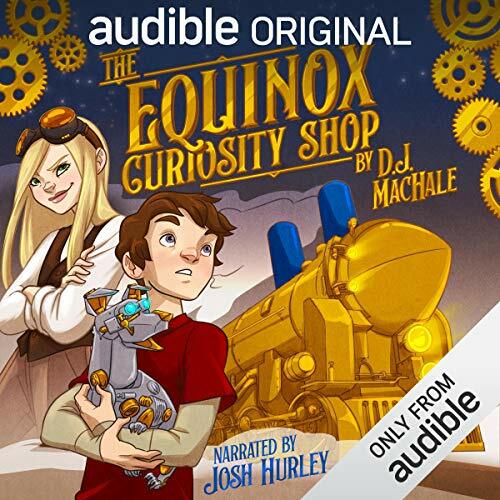 As an adult listening to this children's novel, I was really impressed how exciting the story felt. Granted, I love children's stories so this is a pretty norm genre for me to love but the narrator had great voice acting moments and it all worked seamlessly together. There was one jarring soundscape when alarms sounded but that let me believe the urgency in the plot. Enjoyable writing style and story overall! Sam was a very likeable main character. What a great adventure. I cannot wait for the next in the series. The narrator is one of my favorites. You just love the characters. I've read a lot of children's books, but this is the first one where I hate the story, hate the villain, and hate most of all - by quite a lot - the unbelievably bad "hero". Inept at everything, literally no redeeming features, successful only by accident or when other beings swoop in to save him - which is constantly - our protagonist, Sam, is not brave (at all, AT ALL), not clever, not smart, not athletic, not talented at anything (I mean literally nothing). The good guys are syrupy good and when they win in in the end, the final scene is so full of saccharin, so appallingly cute, it made me want to throw up. And I really did want to throw up: I have never had that cliched reaction to a book before. The world is ABSURD: Sam travels to a pristine magical valley which houses the Nexus which must be guarded by someone or the entire Earth dies. This is a machine that no one knows where it came from, guarded by two old men and their toys. Earth DIES if these toymakers fail to protect it from a not-terribly-bright girl and her evil toys. Which brings me to the villain. She is a smarmy girl who is the only mildly interesting character but she, too, drops into stupidity once she declares the thick-as-wood, idiot, cowardly hero "smarter than I expected" when he susses out the weakness in her comically stupid plan that every listener got as soon as it was introduced at the beginning of the book. This was agonizing to sit through. But I do want to call out the narrator who does a great job made even more remarkable by what he was forced to read. Give this a pass. The writing is not bad for a gifted 13-year-old boy with confidence issues but terrible from an adult..